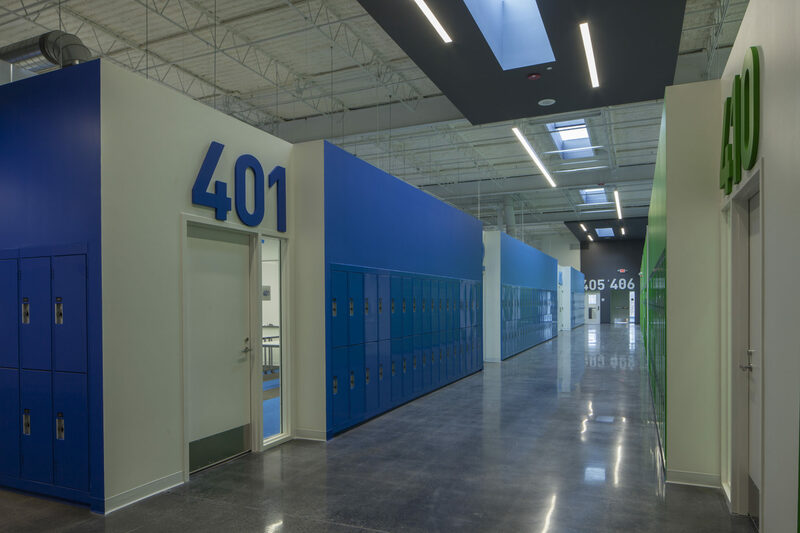 We are standing on the threshold of something great – a chance for Cristo Rey St. Martin (CRSM) to take a quantum leap in the quality of education we bring to low-income youth from Waukegan and North Chicago. 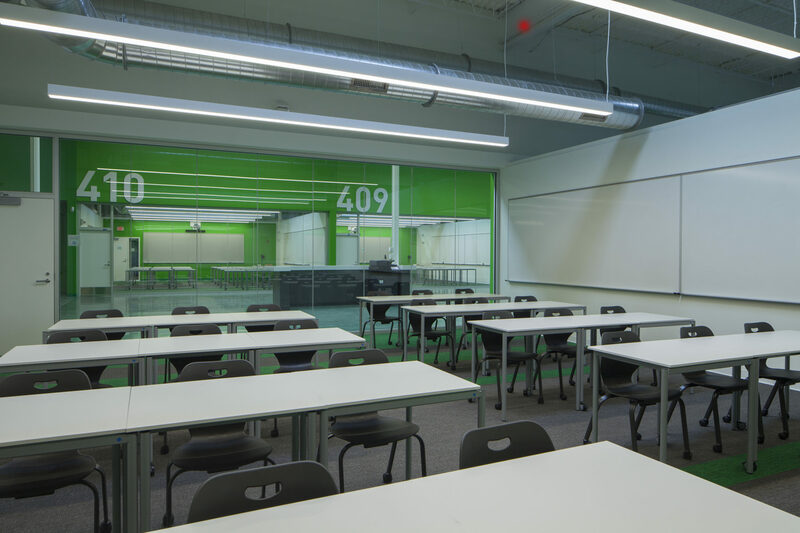 Since 2011, Cristo Rey’s combined progress in increasing enrollment, increasing the number of paying jobs in our Corporate Work Study Program, and increasing income from development efforts has now put the school on stable financial footing. However, we were limited in our ability to sustain this level of rigor in our outdated campus environment. 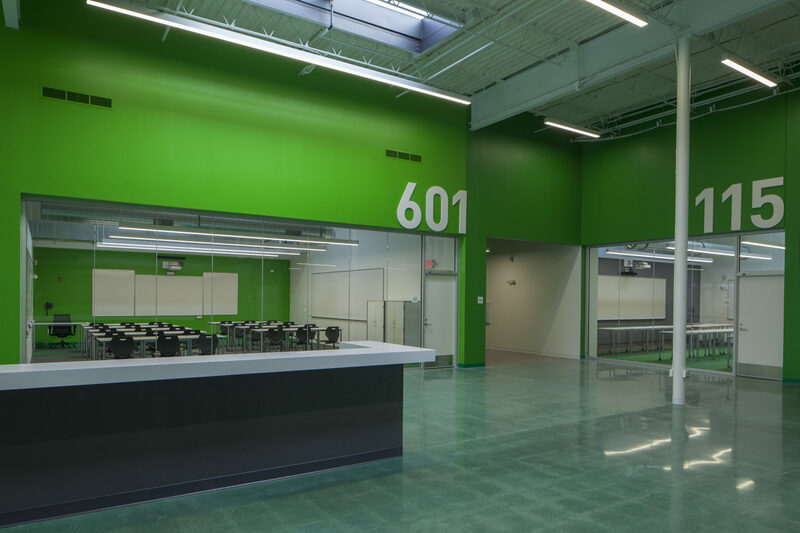 Conditions of the leased facility we occupied for 10 years at 515 S. martin Luther King Jr. Ave in Waukegan were subpar and deteriorating rapidly, challenging our continuing efforts to promote excellence and high expectations in our students. 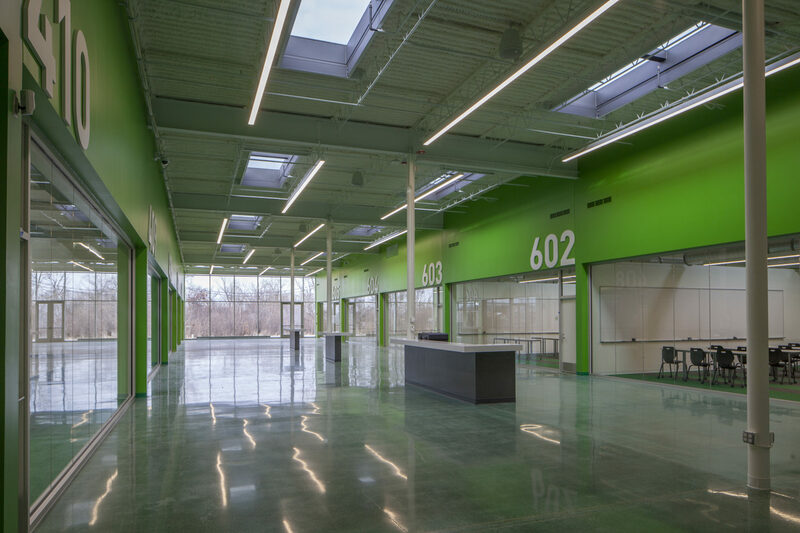 In the summer of 2016, we acquired a property at 3106 Belvidere Rd. 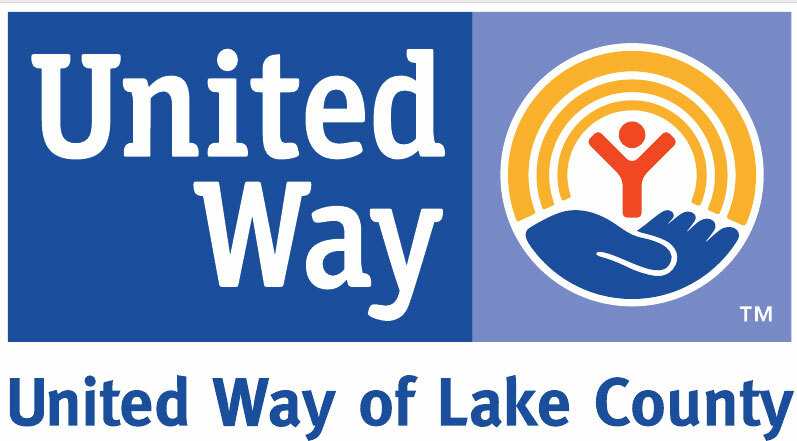 in Waukegan and began renovations soon thereafter. This new location will serve as our permanent home, it is our “cornerstone.” In many ways, this property was “the stone the builders rejected” as it has been sitting vacant for over 5 years. We raised $18.5 million in order to acquire the property and renovate half of the existing building structure so that we could move out of our current campus and into a more secure and stable home as soon as possible. 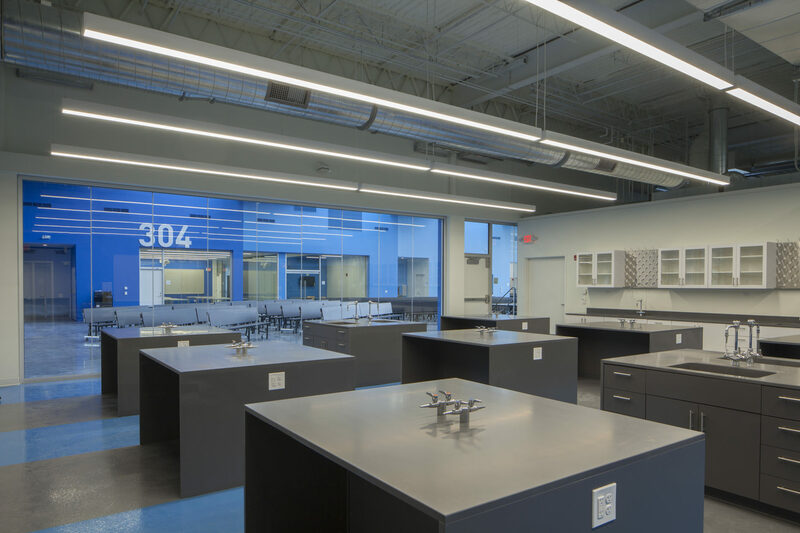 We had our first day of classes in our new building on February 13, 2018 – for photos of the excitement of that day, see our photo gallery. 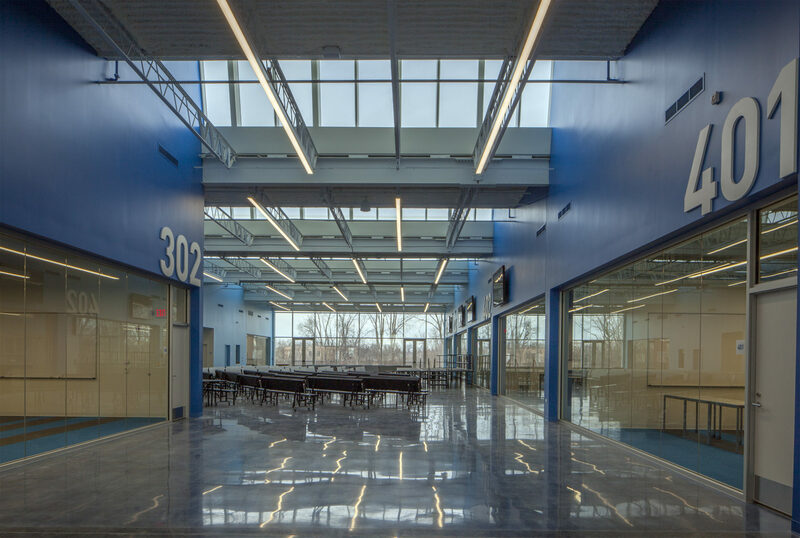 This initial occupancy phase allows all of our students and staff to stay under one roof throughout the school day, with modern science labs and classroom facilities suited for our rigorous curriculum. However, more needs to be done. We have dreams of expanding our curriculum to include additional electives and fine arts programming. We have hopes that one day our sports teams will have their own gym and fields on which to play, and proper fitness facilities in order to teach physical education. And we pray for a dedicated chapel for worship space to compliment our already vibrant campus ministry program. We cannot accomplish all of this without the generosity of benefactors who will help us realize these dreams. 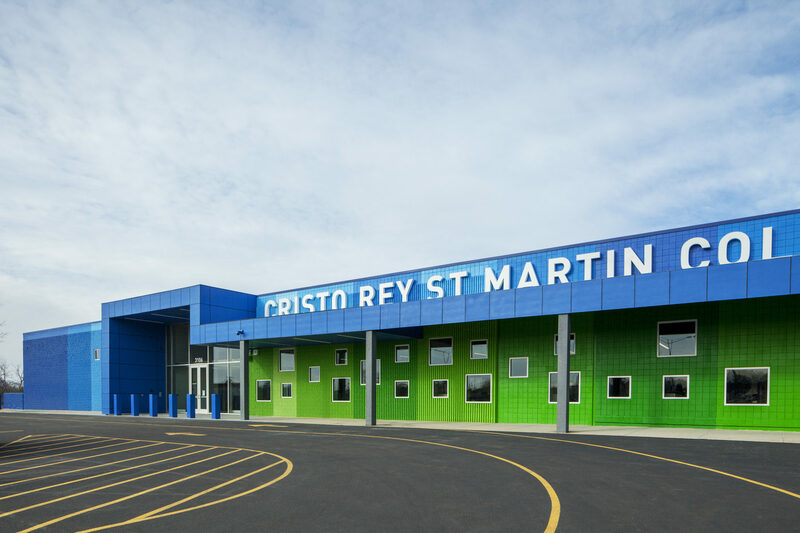 To learn more about our initial occupancy and the plans for the future beyond that phase, contact Kristen Watson at kwatson@cristoreystmartin.org or 224-219-9712. 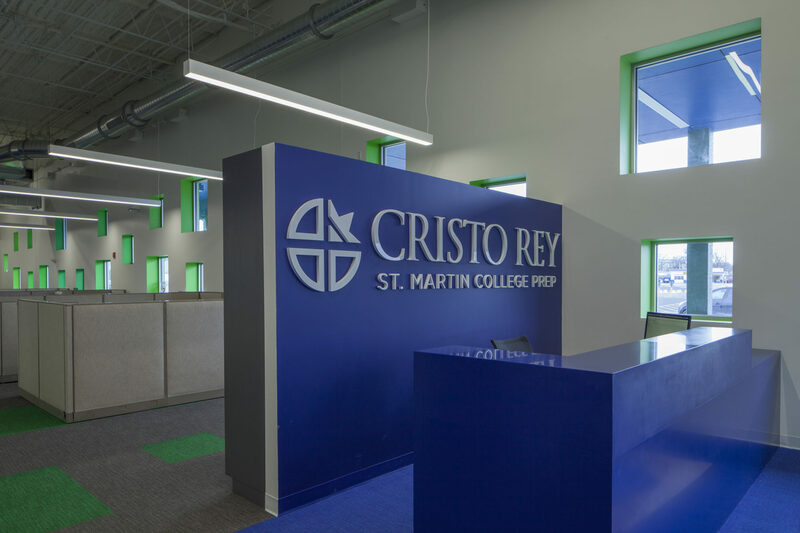 Cristo Rey St. Martin College Prep.